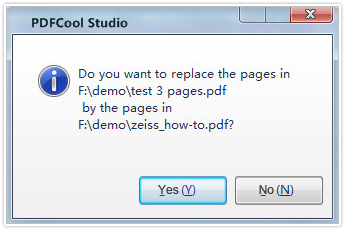 PDF Cool allows the user to replace all or portions of the pages from two opened PDF documents. The selected pages in two documents should have the same page number. Note: You should choose the same number of pages from the two PDF documents. 3. Click on "Page > Replace Pages".